The VMware Cloud on AWS Specialist SE for Global Accounts works as part of a dynamic and specialized sales team that is responsible for engaging withthe largest and most strategic customers, to understand their business challenges,IT priorities and the use cases of their cloud needs so they can be mapped against the capability of the VMware Cloud on AWS service. This spans both Group/Central IT and the LoBs within the customer base and includes stakeholders such as Infrastructure teams, Operations teams, Cloud teams, Application teams, Development teams and Enterprise Architecture teams. We are seeking an individual who has a real passion for technology - someone with social intelligence, enthusiasm and a collaborative ambitious mentality with a ‘can do’ attitude. Someone who can demonstrate integrity and independence yet have a huge desire to give back to the team. This is a highly visibleand strategic role, at the forefront of VMware’s strategy, working in a highly collaborative and fast-growing environment. 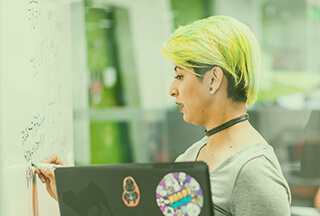 As a VMware Cloud on AWS Specialist SE for Global Accounts, you will be crafting a solution that will include activities such as running strategy, discovery and architecturalworkshop, conducting client interviews, conducting secondary research and soliciting guidance from VMwareGlobal Account Team. This team works with product managers, public cloud partners, and other stakeholders in the design and validation of offerings and alignment for a customer’s cloud architecture. Our primary responsibility is to work with customers, however there will be a strong linkage to VMware’s Cloud partner ecosystem in order to design & prove out transformational strategies spanning private, hybrid or public cloud architectures. We are expected to contribute to those strategies, develop reusable domain IP, and mentor internal & external partners on the use of the tools & technologies. As a Cloud Specialist SE you should have strong customer-facing experience withexcellent listening and discovery skills. Strong interpersonaland influential skills with ability to solve complex problems, be a big picture thinker and be able to visualize and articulate the proposed solution. With a clear and agreed upon client vision and outcome, you will be responsible for crafting the solution during the sales process and retain client ownership through to early consumption. Whilst strong experience in Pre-sales is essential, having a background in professional services and/or cloud operations is highly desirable. Drive accelerated consumption of VMware Cloud on AWS through supporting on-boarding of, and architecture of applications. Navigate the customer stakeholder community to gain consensus to a VMware application-centric SDDC strategy. Navigate and collaborate with Partners, especially AWS, as well as various internal VMware stakeholders including Customer Success, PSO, TAMs, Product Management & Marketing, and others. A senior technical leader with independence and gravitas that the customer will respect and look to for guidance on long-term technical and architectural strategy. Public speaking – conferences, events, training, etc.